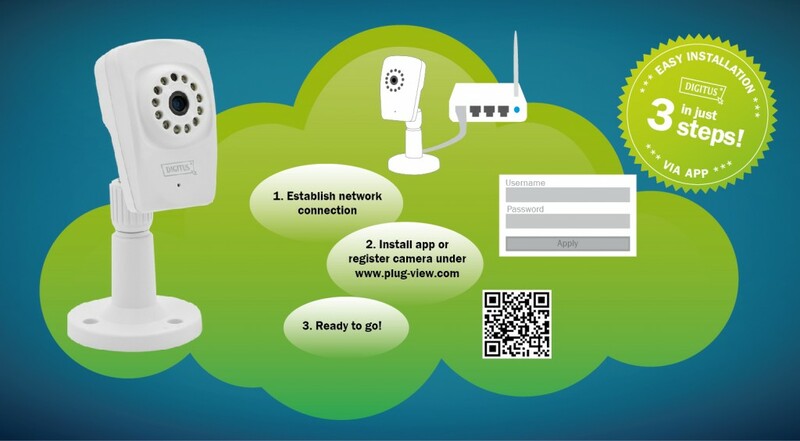 The DIGITUS® Plug&View cameras use a new and innovative way of setting up: Via the online service “myDIGITUS” and the individual code of each camera, a connection between user and camera is built up automatically. Thus, there is no need for a time-consuming and complex installation. With the help of a setting up assistant, the IP-camera is ready for use within just one minute. After the registration in the “myDIGITUS” portal, the camera is recognized and added to the user account automatically. The access is possible from everywhere via Smartphone, tablet, PC or Mac. So it’s really simple to have a look on Snapshots and video sequences or to configure settings. Visit our support video page to view another video tutorials. If you need help with the installation, please click here to contact our support-team. To learn more about data security, please click here.